Prêmio Diamante FAA. Todos os anos, desde 1998, os excelentes técnicos de manutenção da Blue Hawaiian obtiveram o Certificado de Excelência da FAA - “Diamond Award”. Nenhuma outra empresa de excursão de helicóptero no Havaí conseguiu ganhar uma única vez. The scenery we saw on the ride was super. The pilot was knowledgeable about what we saw, but afterwards we found that he had made up answers in two cases. The left-hand seat, which we did not have, is a gyp. Someone has to sit there to balance the weights of people. Our pilot Greg was personable and showed us everything. The chopper was modern so you could see. Not like the old military helicopters of past tours. Would highly recommend this as it was the highlight of our 2 weeks in the islands. Marty was an awesome Pilot/Tour Guide for our first Helicopter Tour of Kauai. My husband and I are usually very chatty people and we were rendered speechless for most of the trip. 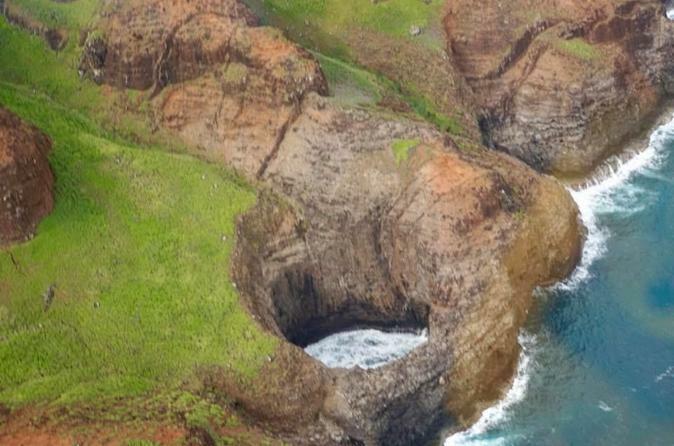 The majestic beauty of Kauai seen from the air is just breathtaking. Marty's knowledge of the history of the island and his sense of humor made the trip all the more enjoyable!! So thankful our parents suggested this tour...worth every penny!! Unbelievable experience! Enjoyed our adventure with our charming pilot Beth!We would cherish the memories of beautiful Kauai from above for life! We enjoyed this tour. Our pilot was great, and the scenery was so surreal, you would almost expect a dinosaur to pop out at any moment. The pilots get to choose their own music, and ours had a great soundtrack! 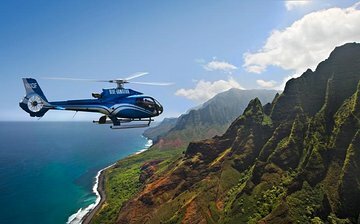 If you are going to do a helicopter tour, Kauai is definitely the place to do it! It is so worth doing this particular helicopter tour since it has unobstructed vision from any seat and huge windows. It may be a bit more expensive but worth every penny. I felt I had returned to the original Motherland in those lush green mountainsides, waterfalls, great vistas. Spectacular. I bought the video of our trip and have viewed it often in the past few months. Thank you! Best way to see all of Kauai. Blue Hawaiian made the experience easy and pleasurable. See all the places the roads of Kauai don't take you. The view back up the Na Napali coast was incredible. It was fantastic! Book early in the morning because the chance of rain increases during the day. They rebooked our tour due to rain and that morning we were able to tour the entire island. flew over the northern part of the island and so much more. We bought the video at the end of the tour. One member of our tour is very sensitive to motion sickness and she was fine. She was laughing and joking with the pilot the entire tour. The pilot provided super commentary during the flight.  Very knowledgeable about Kauai.